Ganai appreciated the participants of the tournament and complimented Director Tourism Jammu, O P Bhagat and Secretary JTGC, Hitesh Gupta for organizing the event as part of Jammu Mahotsav. Ganai directed the Secretary JTGC to further improve the facilities being provided to the members of the Golf Course. Ganai asked the Secretary to immediately put up a proposal for the construction of a Swimming Pool as part of Health Culb of the Golf Course. Later Ganai took a briefing from the Secretary JTGC about the functioning of the Golf Course. According to Secretary JTGC, 96 players participated in today's tournament divided into 24 four-balls including one four-ball of children below 12 years of age and one four-ball of senior citizens above 65 years of age. 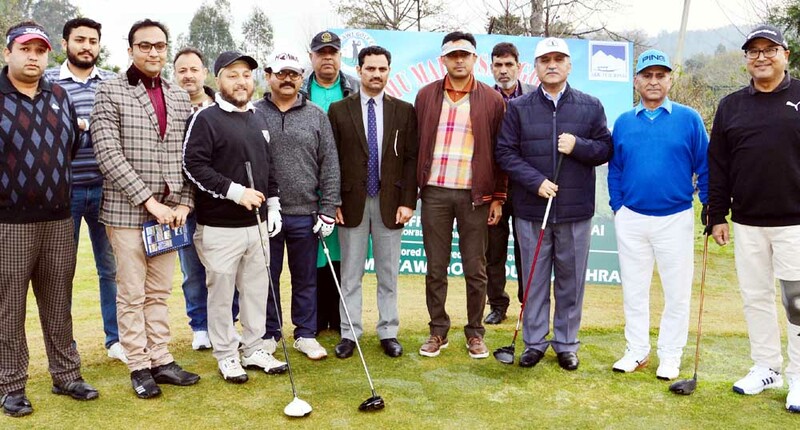 The participants included members of Jammu Tawi Golf Course as well as other Golfers from across the State including one four-ball each from Army Golf Course Udhampur, Army Golf Course Nagrota, Army Golf Course Miran Sahib, BSF Golf Course Paloura. Director Tourism Jammu gave away prizes to the winners. In senior citizen category, award for Straight Drive and the Longest Drive went to IPS Bali.